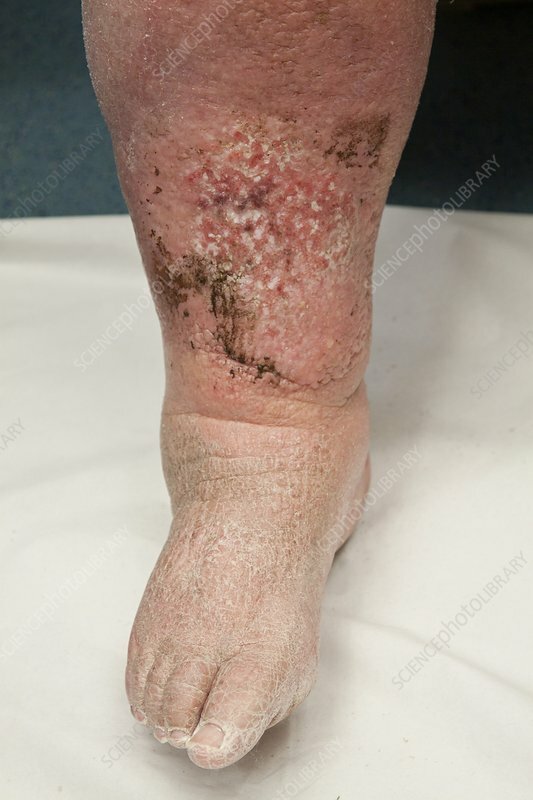 Infected lymphoedema in the leg of a 68 year old woman. A lymphoedema (swelling) is an accumulation of lymph fluid caused by obstructed lymph vessels. The red areas on the skin are due to an infection. Lymphoedemas make the area more susceptible to infection. Massage or compression bandages may help reduce the swelling, but their is no cure.